My name is Cindy Wilt and I am the owner of Shaggy Chic Mobile Pet Spa. I have been involved with animals my entire life and, along with my husband Philip, own and operate Talus Kennels in Mobile, Alabama, home of top winning AKC Petit Basset Griffon Vendeen and Grand Basset Griffon Vendeen. My love of grooming and pet care goes back 32 years when I began working for a show dog breeder and grooming salon owner in California. I am a member of International Professional Groomers, Inc., and besides participation in their educational and certification programs, I stay current on and the latest grooming techniques by attending professional grooming trade shows, seminars and conferences around the country. 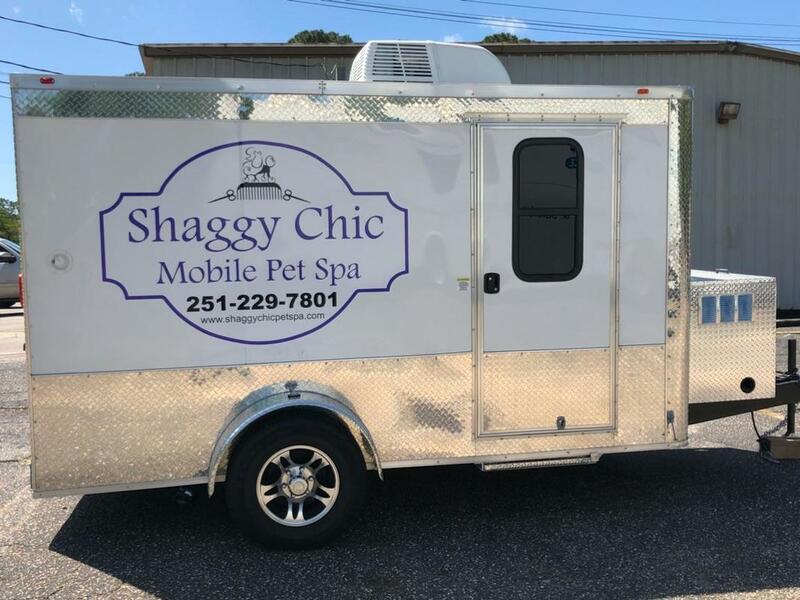 Shaggy Chic Mobile Pet Spa was created as a way to give back to the pet owners in my community. Our goal is to provide caring, compassionate and quality grooming services for pets at the convenience of their home, eliminating the stress from traveling to and from the salon. ​Pets are groomed steps from your home or business, in a non-threatening environment, free of cages, excessive noise and stress. Each pet is individually groomed from start to finish and promptly returned to its owner or caregiver. Health concerns are greatly reduced, as there is virtually no chance of your pet contracting airborne viruses from other pets. All equipment and surfaces are sanitized and disinfected between each and every pet. We look forward to scheduling an appointment for your pet soon!